The International Criminal Court (ICC) intervened in Kenya from late 2009 when the coalition government failed to set up a mechanism to investigate and try perpetrators of the 2007-2008 post election violence. 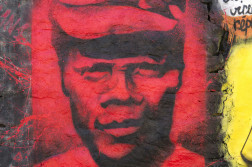 The violence was the result of disputed presidential election results where the incumbent president, Mwai Kibaki was declared to have defeated opposition Chief Raila Odinga after a closely contested election. More than 1300 people were killed and over half a million displaced. 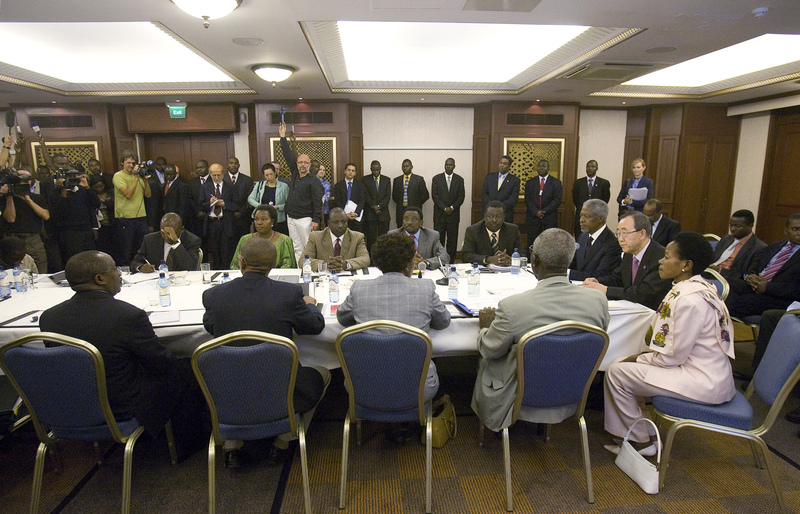 African Union international mediation efforts led by the Panel of Eminent African Personalities under the chairmanship of the former UN Secretary General, Kofi Annan, brought together the disputing parties: the government – the Party of National Unity (PNU) – and the opposition -the Orange Democratic Movement (ODM). Both parties signed the Principles on the Partnership of the Coalition Government, and agreed to undertake far-reaching reforms. They also agreed to establish a commission to investigate the causes of violence and make recommendations on how to prevent a recurrence of violence. The parties, under the Panel, established the Commission of Inquiry into the Post-Election Violence (CIPEV) also known as the Waki Commission in April 2008. The Waki Commission’s recommendation to establish a local special tribunal was not implemented for mainly two reasons. Firstly, a local tribunal was opposed by reform-minded parliamentarians who feared that it would be subject to political manipulations and therefore unable to bring the perpetrators of the PEV to justice. Secondly, a local tribunal was also opposed by a group of parliamentarians whose primary goal was to avoid accountability because they were themselves implicated in the PEV. This second group around William Ruto (ODM) and Uhuru Kenyatta (PNU) mistakenly assumed that the ICC proceedings – as opposed to domestic proceedings – would take a long time to commence, giving them enough time to increase their bargaining power by participating in the 2013 presidential elections. Most parliamentarians opposed to the setting up of a local tribunal adopted the slogan, ‘Don’t be vague, go to The Hague’. The combined opposition of these two interest groups meant that in early 2009 Kenya’s parliament failed to pass the legislation required to establish a local special tribunal for the perpetrators of the PEV. Following these events, the head of the panel that mediated the end of the 2007-2008 post election violence, Mr Koffi Annan announced that he had handed the envelope containing names of the main suspects to the ICC in July 2009. The Kenya government launched an unsuccessful legal campaign challenging the Admissibility of the cases before the ICC. The Kenyan government argued that the on-going ICC investigations violate the Rome Statute’s foundational principle of complementarily because a domestic accountability process has been initiated. This argument was rejected by the ICC judges on the ground that Kenya has failed to provide evidence showing that. An unintended consequence of the indictments is that two of the accused persons from the communities which have fought bitterly in the past, the Kikuyu and the Kalenjin, forged a political alliance ahead of the 2013 elections which they eventually won, the opposition contested the results but this time the contest was resolved in court with no violent incidences reported. Most observers have attributed the absence of violence in the 2013 elections to the fear of the ICC by the political class. This in my opinion remains one of the major positive impacts of the ICC in Kenya so far. A Robust public debate and political discourse has been going on in Kenya since the prosecution of six prominent Kenyans by the ICC. These debates have created awareness among Kenyans on international justice generally. Specifically, the discourse has helped reduce the culture of impunity in Kenya by challenging the notion that some individuals are too powerful to face justice. The fact that a president was, and his deputy is facing charges in a court of law has made Kenyans realise that despite ones’ position in society, there exists mechanisms that can punish them if they commit crimes. This was almost a myth in Kenya before the ICC intervention. Judicial reforms in Kenya have also been hastened by the presence of the ICC in Kenya. A case in point is the setting up if the International Crimes Division (ICD) to deal with crimes against humanity, war crimes and genocide. This is a welcome development for a judiciary that was deemed toothless and unable to prosecute crimes of such magnitude in the past. As earlier mentioned, One of the negative consequences of the ICC process is that it seems to have focused so much (as it is bound to do) on the ring leaders of the 2007-2008 post election violence. 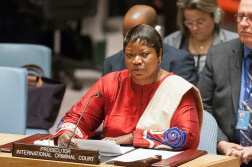 The focus on the ICC has therefore taken attention away from lower-level perpetrators for the violence. Those who committed the crimes have continued to walk scot free. This has made it almost impossible for true reconciliation among communities affected during the violence. With the setting free of the majority of the suspects (4 out of 6 indicted), there is now real disappointment amongst the victims that they may never find justice. The flip side of this is that the dropping of the case against President Kenyatta has once again reopened debate on the need to set up a special tribunal to try perpetrators of local level crimes during the 2007-2008 post poll violence. NP-Africa has continued to closely monitor and engage on this very pertinent question of the ICC involvement not only in Kenya but in post conflict societies in Africa. In our view, the above analysis does not allow empirically viable conclusions to be drawn about the impacts of International Criminal Justice on peace and stability after mass atrocities have been committed. Indeed, the much more ambiguous consequences of ICC interventions in, for example, Uganda or Sudan should warn against making broad generalization based solely on the Kenyan experience. Before firm conclusions about the impact of ICC can be drawn, much more systematic and comparative impact assessments across a large number of cases should be undertaken. 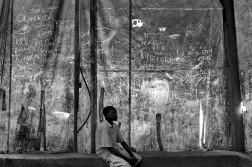 This is the central reason why this project is so central to our work at NPI-Africa. Named after Justice Philip Waki who chaired the Commission. Hansen, T. (2011). 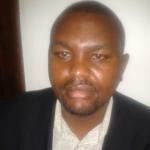 Transitional Justice in Kenya? : an Assessment of the Accountability Process in Light of Domestic Politics and Security Concerns. California Western International Law Journal. 42, 1-35. The complementarity principle gives State Parties to the Rome Statute a first right to carry out domestic prosecutions before the ICC jurisdiction is triggered (Jalloh, 2012, p.272). Jalloh, C. (2012). Kenya vs the ICC prosecutor. Harvard International Law Journal. 53, 269-285. Akhavan, P. (2009). Are International Criminal Tribunals a Disincentive to Peace? : Reconciling Judicial Romanticism with Political Realism. Human Rights Quarterly. 31, 624-654.